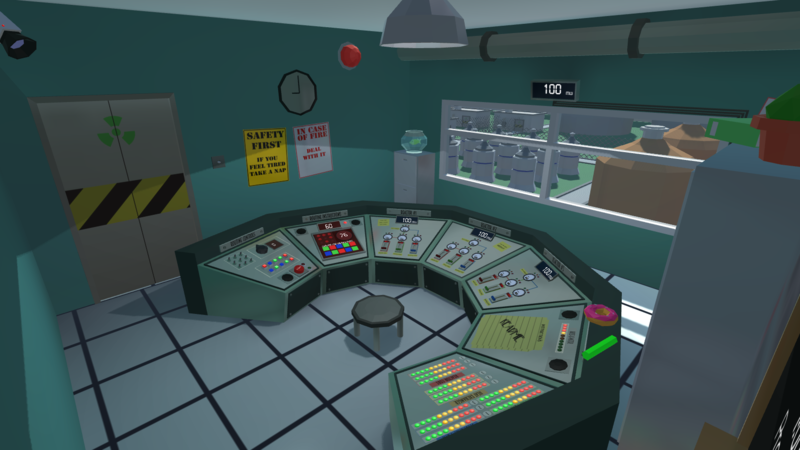 Today is your first day of work at the nuclear power plant! The power plant produces clean energy with no risks. We are so proud of how safe is our power plant that we let you, with no qualifications, work for us! 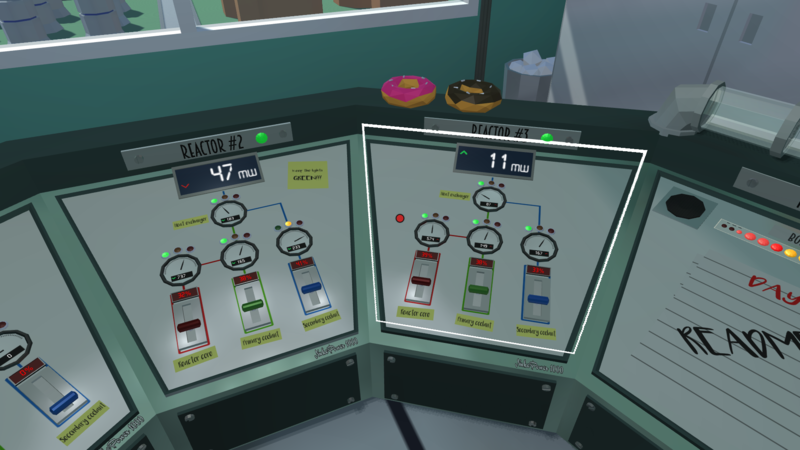 On your first day, you sit in the control room of the 3 main reactors and you are able to control the power production through the control panels. Produce the power required and try to don't get fired! 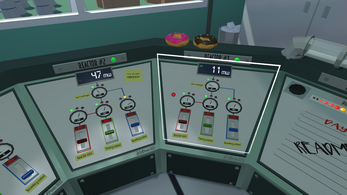 New areas and controls can be unlocked on future updates. - Is the game finished? 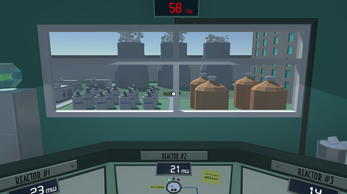 The game is still in an experimental version. A new and huge update is being prepared for the steam release. 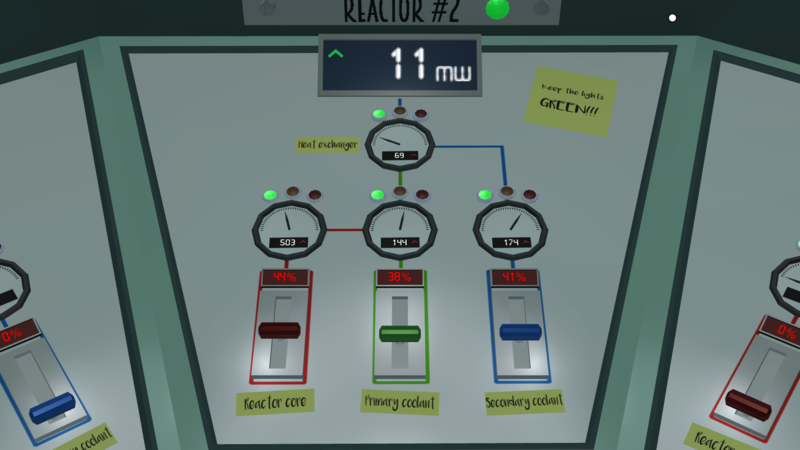 Nuclear power plant simulator has been voted and approved on steam greenlight and will be soon available on steam! - NEW: Level 2 available! 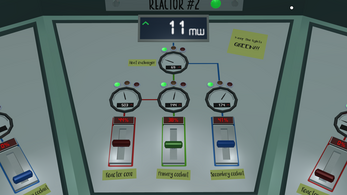 AGCR ,VVER, B REACTOR ,WINDSCALE ,BN reactor so please make a option to not to have the routine stuff like go into settings and have a switch routine controls on or off ? if so i would be playing it all day thanks ! Hey there, random gamer here, I was just wondering how the game is going! I saw Markiplier play this a while ago, but it looked really fun! I was wondering if/when you will ever release it on steam, because I know of more than a few games that I was really excited for to release on steam just seeming to drop off the face of the earth. I apologize if you have already been asked this question, but I really hope this game succeeds and I wish you the best of luck in the future! so do i get a steam key because i bought this game on here? Also, I need a steamkey because I am going to buy from this site! 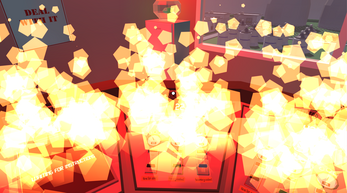 Can't wait you'll sent it on Steam Greenlight. And one question for now: if I'll buy your game now, on this site, will I have the key for Steam if it would be released on Steam? Of course you will receive a steam key once the game will be released on the platform! I'm preparing for Steam Greenlight, it might be ready this week, you will receive a steam key once the process is done. 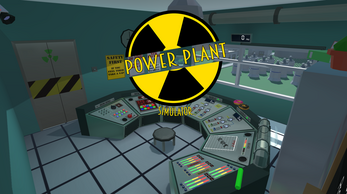 You got the diploma just in time to work on the nuclear power plant! If so, I'm going to buy it. 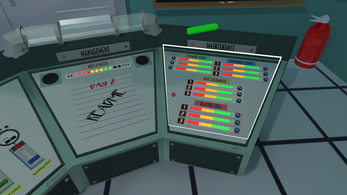 I watched a lets play on this game and am interested but the "routine controls" where you have to match up the switches and buttons uses lime green and yellow, 2 colors that to me look identical due to my red/green colorblindness. I have given feedback to a few game devs on color blind friendly features, an example is the glinting effect on ores in terraria. You could also add a symbol to the buttons that changes based on it's state. Thank you for your precious suggestions AishaLove. Changing the yellow indicator to blue won't change anything about the gameplay and it is a fairly easy change to make. Tomorrow I will try to update the game with the change you suggested. If there is anything else I can do to improve your game experience, feel free to send me more feedbacks. I think that is the only thing that would keep me from enjoying the game. I will purchase it soon and give it a try. Rest assured I will provide more feedback if I feel my advice would be helpful. I also just want to say how refreshing it is that you are so prompt with replies and so conducive to feedback. I am sure this is going to be an amazing game. Any plans for VR support? this just screams to be played in VR. I wish I could also support VR but unfortunately I have no budget to buy it. In case I manage to get one, I will update this game for sure! 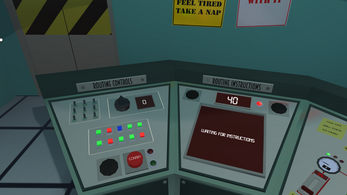 I would support you if you put up a kickstarter to get what you need to do a VR update. Update is online as promised! I also updated the screenshots on this page so you can see the new colors. Next update will be a BIG one, with new levels and mechanics, but I want to first make sure that the game is colorblind friendly. No hurry, the more you have to wait, the more content you will find waiting. Tomorrow I might update the game with a new level and even more will come soon. I did not expect so much interest towards my game and I'm doing my best to deliver better content in the next days. I made an account just to say that the game is great, but the fire is really in need of being nerfed. I can't really enjoy the game at all because of random fires occuring and spreading unless I instantly put them out. 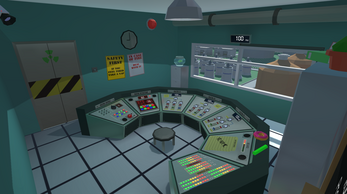 I understand you are trying to avoid the game from being very easy, but id just build off of the task concept you have and completely replace random unexplained fires. However I understand if you really want to use the random fires, it just definetly is way too extreme right now. Thank you Jordan, I will try to balance it as soon as possible. I think I got a new balance with the fire. It's much easier for me, but I played it countless times and I guess I became decent at the game so my judgement is questionable. New version is available. Feedbacks are always welcome, thank you! unfortunately this is the only game mode. Everything is balanced to make it possible to complete the level with a good amount of understanding, but it's impossible to go infinite since the components take damage over time and sooner or later somthing will break. The purpose is to survive the day! Fire is annoying, I know, it's there to be so! I might consider nerfing it a little bit if it is a big problem.